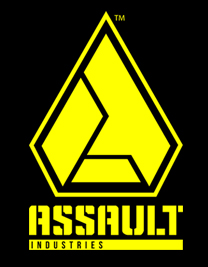 We started Assault Industries because of the love we have for the Offroad Industry. We have been MANUFACTURING parts for UTV/Side by Side, ATV and the motorcycle Industry for over 20 years. Working with OEM CUSTOMERS LIKE, Yamaha, Honda, and Harley Davidson, has given us an advantage to understanding the high standards of quality, on time delivery and most of all... customer service. Our manufacturing facility is located in Orange County, California. We have state of the art equipment to handle CNC Machining, Sheet metal fabrication, Tube Bending and welding. We have been in Business manufacturing for the off road, military, aerospace, medical, automobile, motorcycle and bike industry, since 1982! With all this experience, We decided to create Assault Industries. With the commitment of developing the best, strongest, Innovative products available in the industry… for today's warrior.